Custom design your own metal signs for your home, garage, shop, bar or store. We can make any design of your choice we just need a high-quality picture to be sent to us. The picture should be a minimum of 1000×1500 pixels (the bigger the picture the better) The aspect ratio of the picture is 3:2. 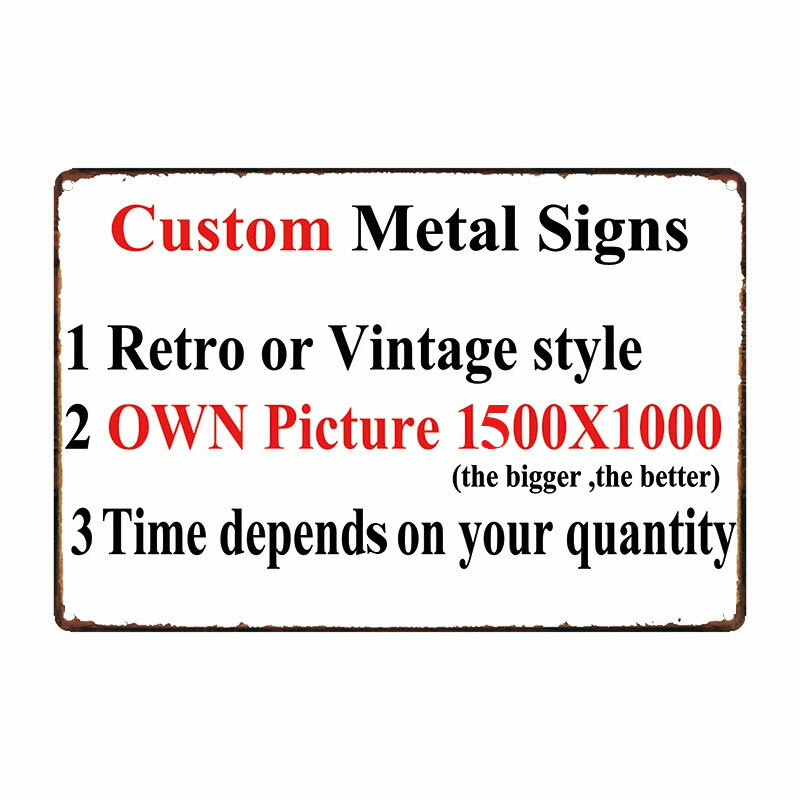 You can still submit a picture with a different aspect ratio, just know we will have to clip off some of the image to prevent the image from appearing squished but we will make sure your submitted image is center on the metal sign. After placing an order for a custom design, we will email you requesting to submit the picture, you can email it to us or you can upload it online and send us the link to the image. Rolled edges for safe handling. High-quality enameled print with anti-glare finish. We need to create your custom design so we will ship the items within 3-5 working days after the payment is received. If you need multiple designs made please note that it will delay the amount of time before we can ship. 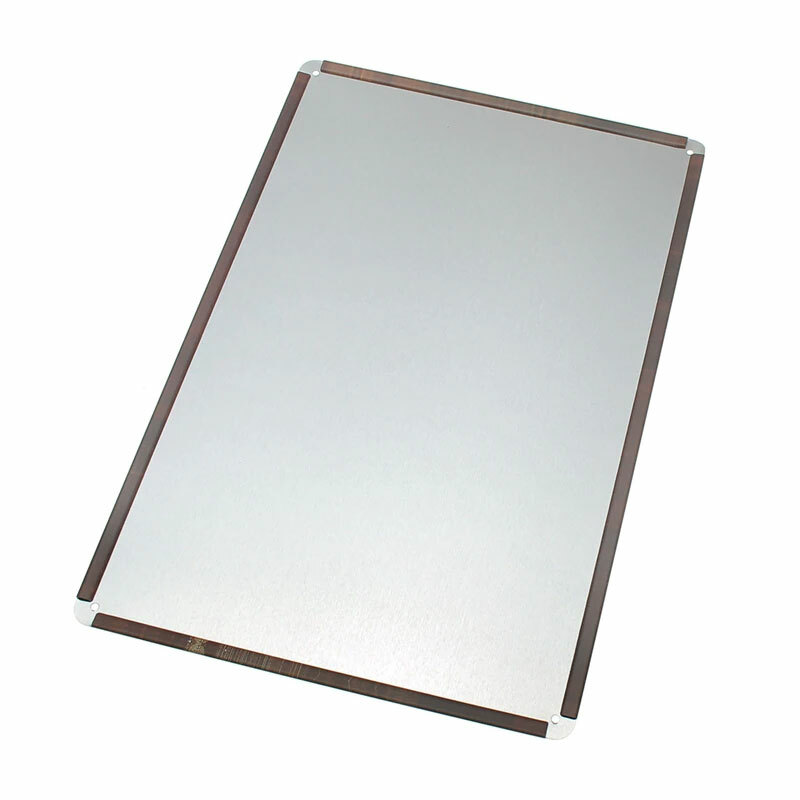 We guarantee the signs are free from defects and made with a high-quality enameling process. Kindly Note: There are no returns or refunds for the custom signs due to these being custom designs you have chosen. If there is an issue with the print or other issues that prevent the use of the sign we will take of it. Ordered signs are top notch! Great quality signs! Will be buying more for my family.